Update: Magikarp Jump is now available to download on iOS and Android. Pokemon Go took the world by storm last year, and Nintendo is pushing forward in bringing the Pokemon franchise to mobile devices with yet another release. Pokemon Magikarp Jump is a new mobile game where you have to catch one of the most useless Pokemon known to man, feed it, train it and then take your Magikarp to a jumping competition. If you lose you then have to head back to the start and catch another Magikarp and start the process all over again. Nintendo originally announced the game in February, but the marketing push has been quiet so far. After an initial soft launch in Italy, the game is now available in the UK and US. It's developed by GameFreak, the company behind the original Pokemon Red and Green games as well as the latest Sun and Moon titles. To get Magikarp Jump on iOS head to the app store. It's a free download, but there are microtransactions within the game. 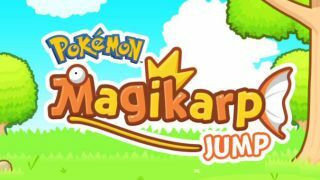 Though it was initially limited to iOS, Magikarp Jump has been quickly rolled out to Android devices. To get it for yourself, just visit the Google Play Store where you'll be able to download it for free. Bear in mind those microtransactions, though.